Address: 9-15 Togano-cho, Kita-ku, Umeda, Osaka, Japan. 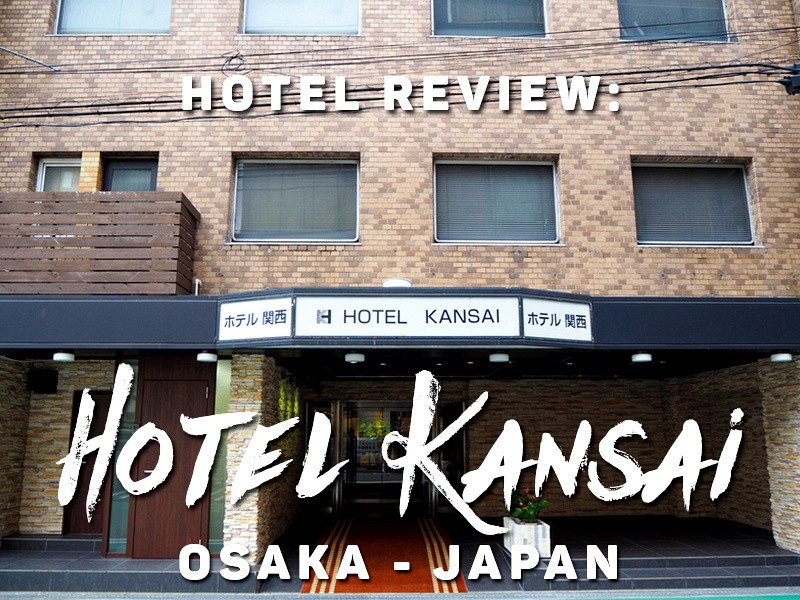 I stayed at the Hotel Kansai in Osaka. 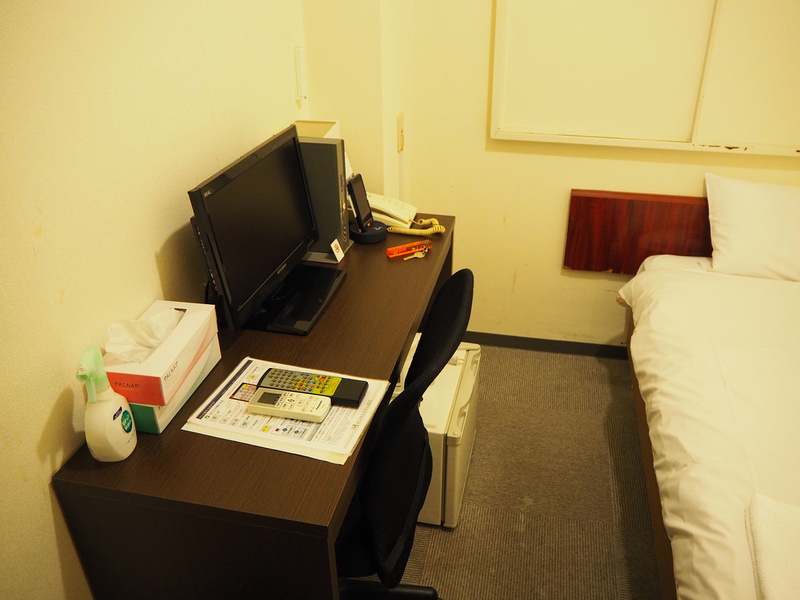 I booked it for its price and location near Osaka Station, with the price being $41.60 USD per night. That’s about as cheap as it gets for a private room with your own bathroom. I had considered staying in a capsule hotel which would have been cheaper, but I have to consider my back, and getting out of of a bunk capsule might be a problem for me. Before this trip I wasn’t familiar with where to stay in Osaka, so after some research I figured being near the main station would be suitable for a short trip. This turned out to be a good choice as it was easy to get to from the airport. The street names won’t help you find it, so it is best to load your Google Maps before arriving and use that to navigate from the main station. The hardest part is finding the right exit from out of the underground labyrinth of the station area. Once you find the right exit it is less than five minutes from exit to hotel. 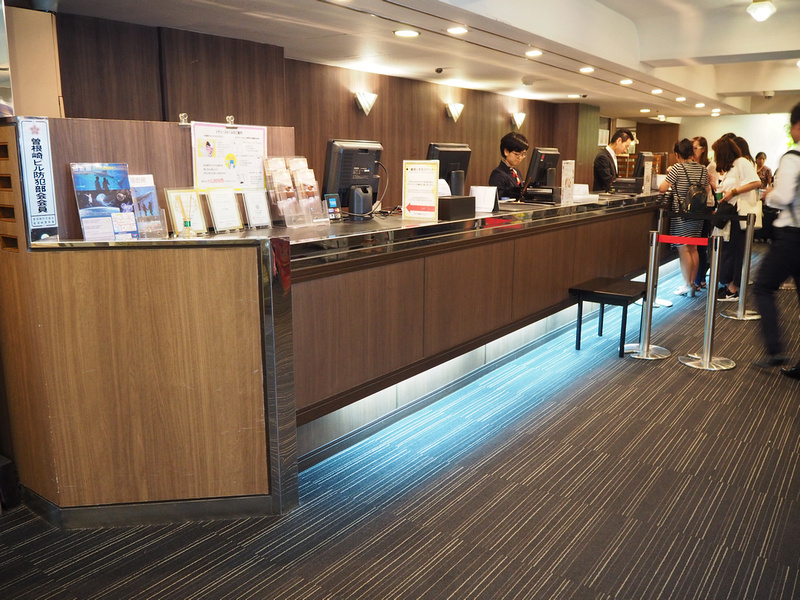 I arrived at the the hotel and there was an American working at reception, so that was an unexpected surprise to have an English speaker at the desk. Some of the reviews had mentioned the lack of English. I got a single room with a private bathroom. It was a tiny room, with just enough space for the bed and a desk by the side. There was technically a window, but when I opened it the view was of a service wall with no light. I kept that shut. The bed was comfortable with a good mattress. The work desk and chair and television set. I was here in the summer, and the room was hot if the A/C wasn’t on. It took a while to work out the air conditioning settings. 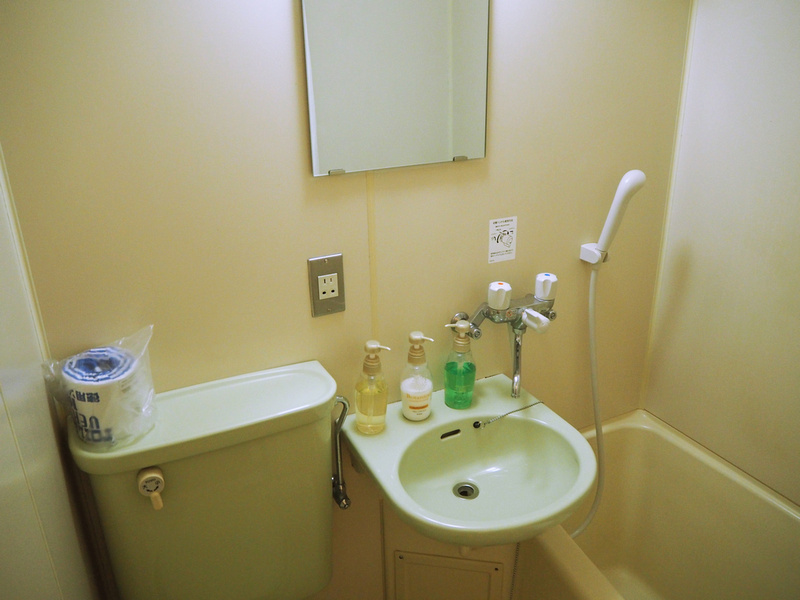 The bathroom was a plastic modular room inserted into the corner of the room. The small space included a toilet, sink and shower. 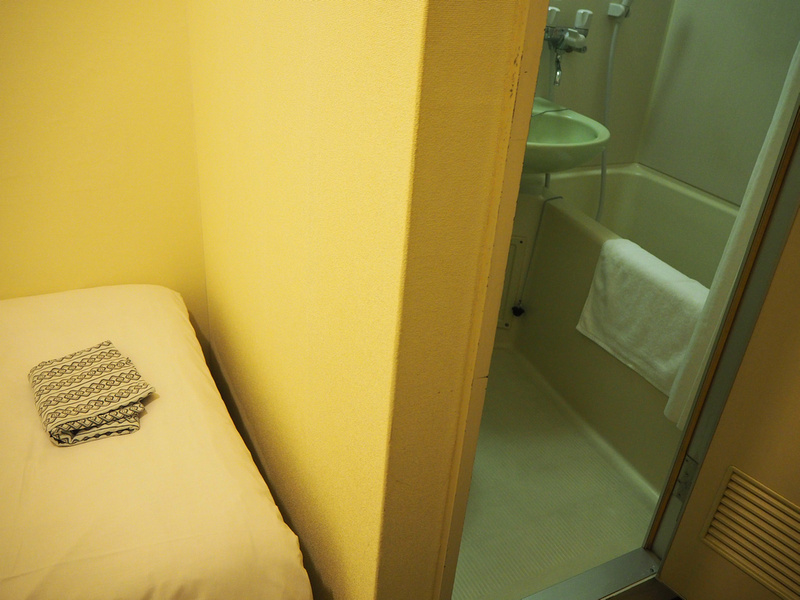 The shower had a Japanese-style bathtub that is designed for sitting in, not lying down. As you can see the space of the room, with the bed and bathroom next to each other. 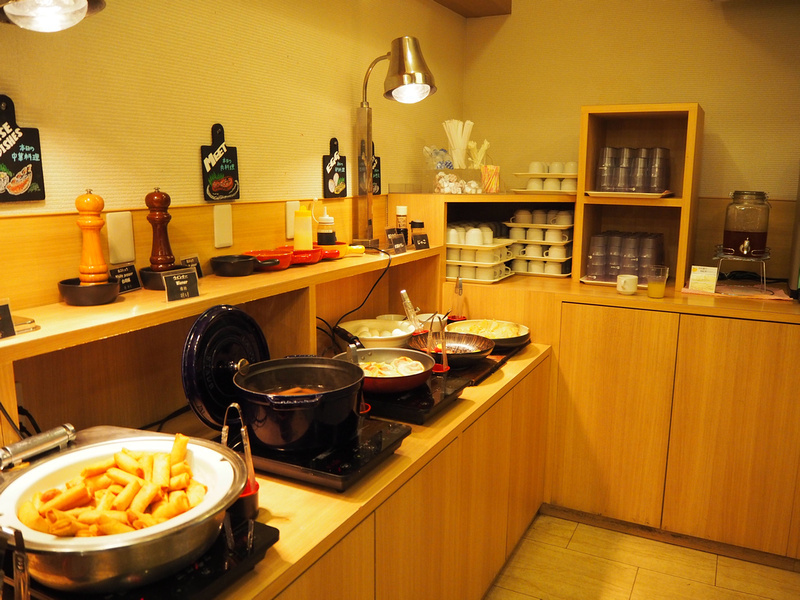 There is a breakfast service provided, which has a selection of Japanese and western-style breakfast choices. 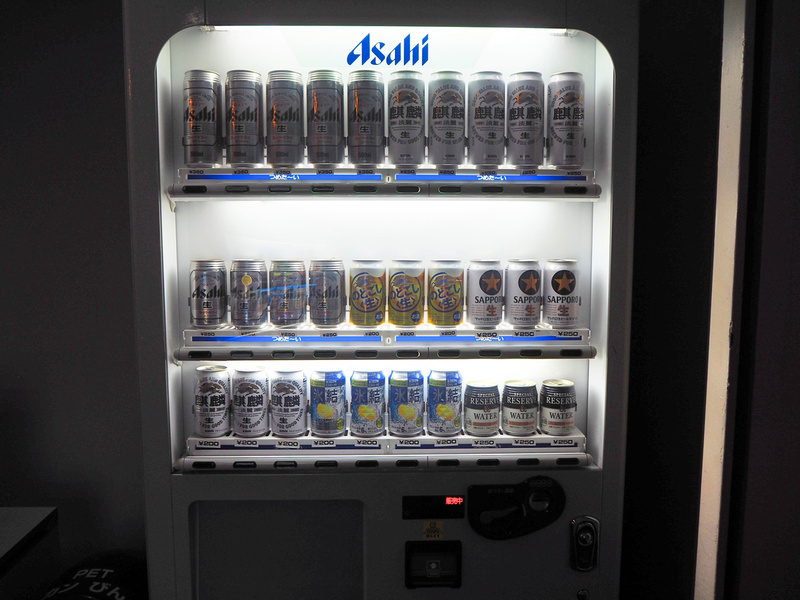 Japan is a land of vending machines, and there are various vending machines in the foyer. 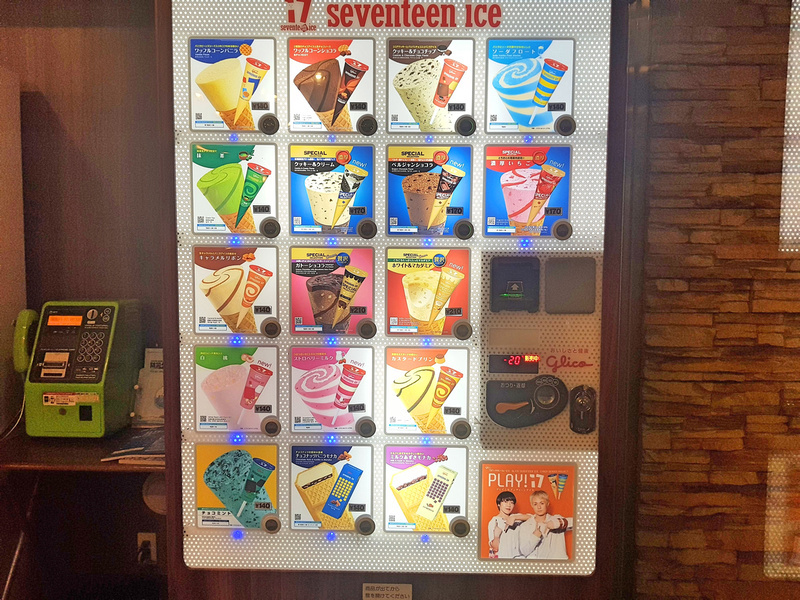 This ice cream machine kept tempting me every time I walked by it. And even though I don’t drink, I love being in a land of responsible adults where beer vending machines are a thing. This would never work in Australia. 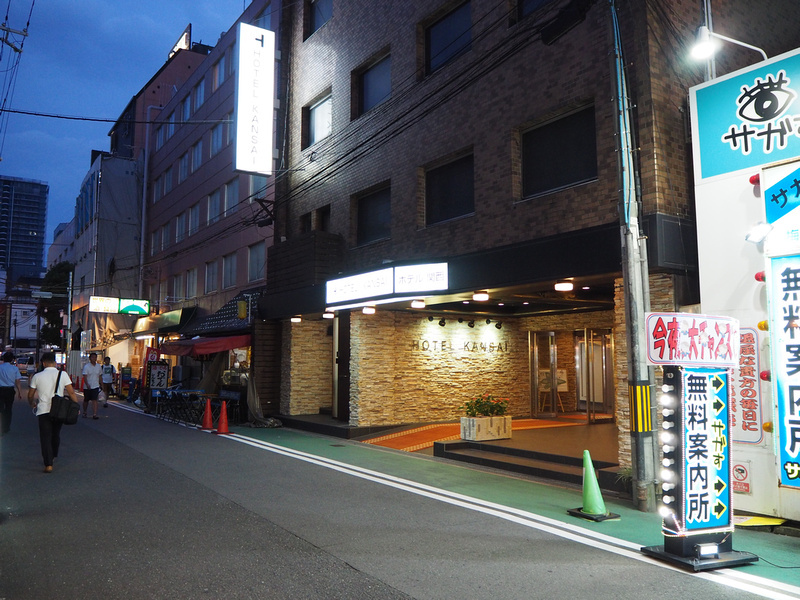 The hotel is in a quiet side street, though there are some questionable karaoke bars nearby. 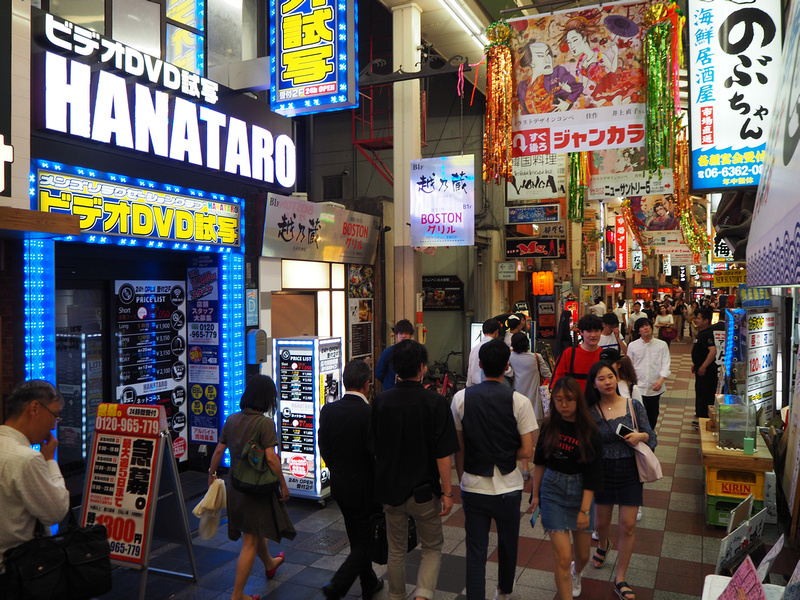 It’s also near some of the big pedestrian food streets so there are plenty of eating options. Overall this was an ok place if you are just looking for a cheap private room in central Osaka. 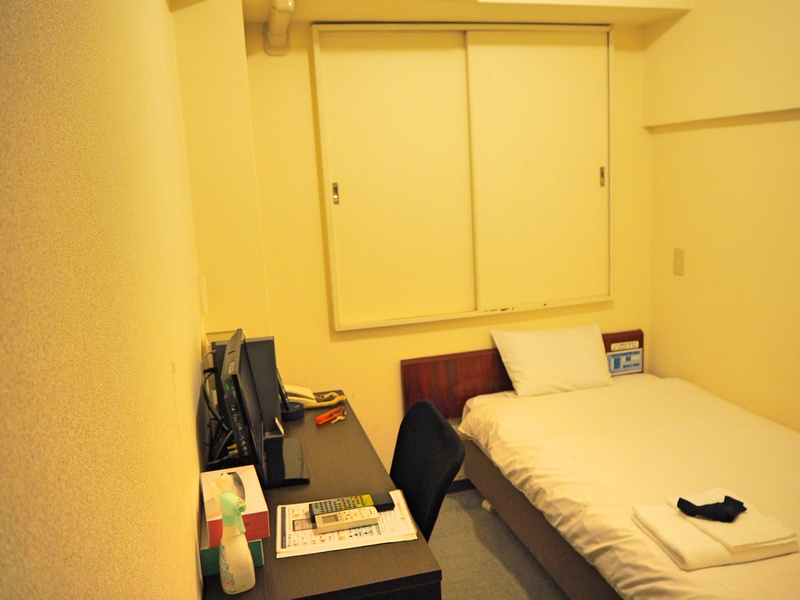 The room was a bit claustrophobic without a window, but I wasn’t expecting much more for the price. 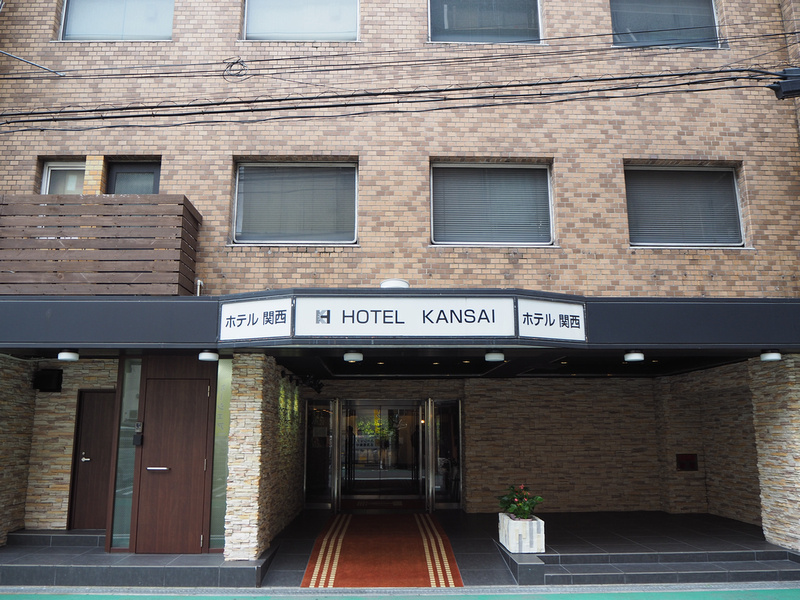 Book the Hotel Kansai online or search for more hotels in Osaka.